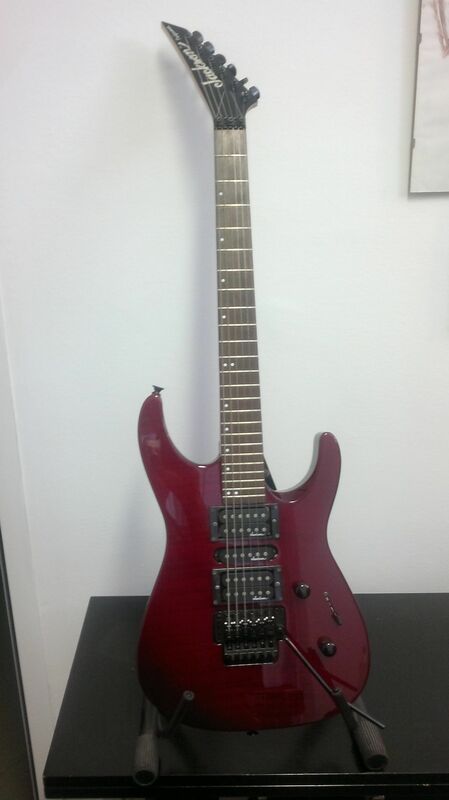 I wanted a Rock guitar, but I didn’t want to spend big money so I bought a Jackson Performer. Big sound, big neck, very confortable. 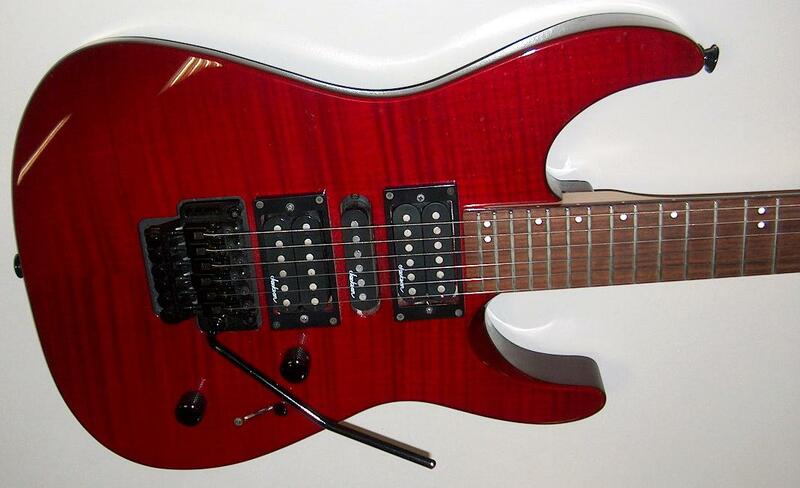 I hate the Floyd Rose and that’s why I stopped it. I can only push but not pull.Leaning over the bridge I always had the guitar out of tune. 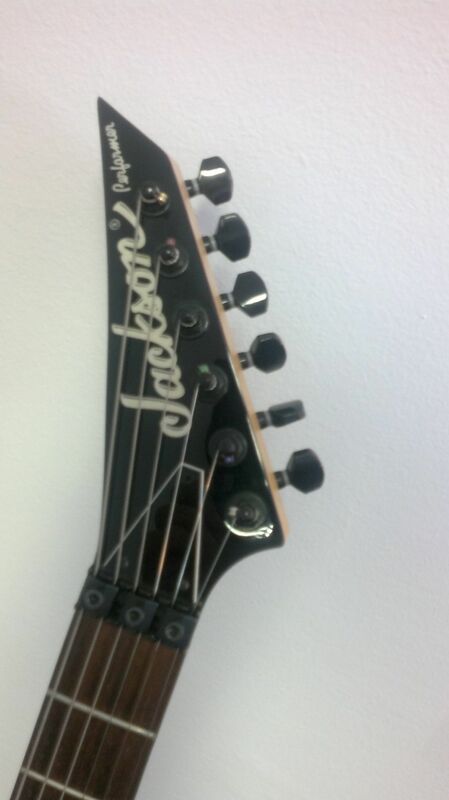 Posted in Electric GuitarsTagged floyd rose, jackson, performer, solid bodyBookmark the permalink.